SYDNEY/SEOUL (Reuters) - The abrupt resignation of U.S. Defense Secretary Jim Mattis sparked concern among Asia-Pacific allies who credit the retired general with building trust and tempering isolationist impulses, regional officials and analysts said on Friday. The region - which includes strong U.S. allies Japan, South Korea and Australia - hosts some of the world's most volatile flashpoints, with high tension on the Korean peninsula and China's militarization of the South China Sea causing friction. 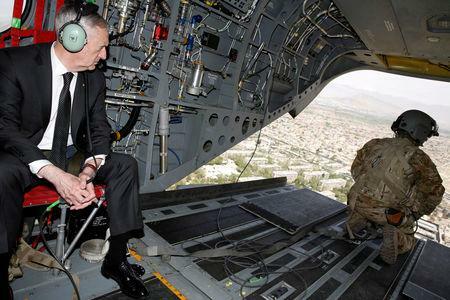 Mattis, who embraced America's traditional alliances, said he was quitting after falling out with President Donald Trump over foreign policy, including surprise decisions this week to pull troops from Syria and start planning a drawdown in Afghanistan. "He has generally been referred to as one of the adults in the Trump administration," Australian government Senator Jim Molan told The Australian newspaper. He said his departure was concerning because it introduced "another extreme variable" into U.S. decision making. Mattis has been a vocal critic of China's increasing presence in the South China Sea but he worked to ensure tensions did not boil over. "He's been the point of continuity and the gatekeeper in the administration that they've relied on most to temper the instincts of Trump, which are much more, I think, isolationist and clearly highly skeptical ... about alliance commitments," said foreign policy and security analyst Euan Graham, executive director of La Trobe Asia at Australia's La Trobe University. Mattis' departure also robs Australia, without a U.S. ambassador since 2016, of a key ally in the Trump administration. "Australia has always had the ear of Mattis," a U.S.-based diplomatic source told Reuters. 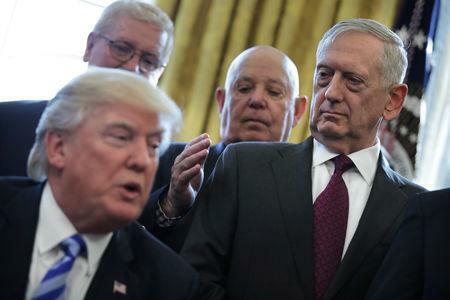 Adam Mount, defense analyst at the Federation of American Scientists, said Mattis was a steady hand on North Korea and was instrumental in preventing a war. "Mattis was bailing water out of an alliance being buffeted by an erratic president, an advancing North Korea, and an increasingly assertive China," Mount said. "His work kept the alliance afloat but major questions will have to be resolved to keep it strong," he said.